Joomla Virtuemart Amazon Connector is another Virtuemart remarkable addon, as the name suggests it integrates your Amazon seller account with your Virtuemart store. An option to update product( Price and Inventory only) on Amazon when order placed in Virtuemart. An admin can delete all imported products in VirtueMart using Delete all Imported tool. The deleting functionality will work as per Virtuemart standard procedure. 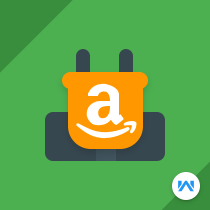 The Amazon Connector will work with Amazon Seller Central only. Download of the report(s) and Feed(s) are available in CSV format only. While importing the product information like images, name, price, and quantity get imported along with the product(s). While exporting the product information like SKU, price, and quantity get exported along with the product(s).